The electric pressure cooker makes steaming/boiling potatoes so much easier than if I had to cook them in a pot on the stove. Meanwhile, I had a little under a pound of black beans soaking in water since the day before. The morning I wanted to make the corned beef hash, dumped the water the beans had been soaking in, put them in the electric pressure with a bullion cube and let them cook for 15 minutes on high pressure. 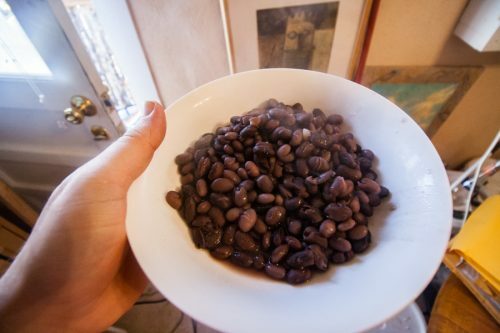 Lots of people say you can just throw dry beans in the pressure cooker, it just takes more time. I prefer to soak the beans. You might think this means the beans are done in 15 minutes. It doesn’t. 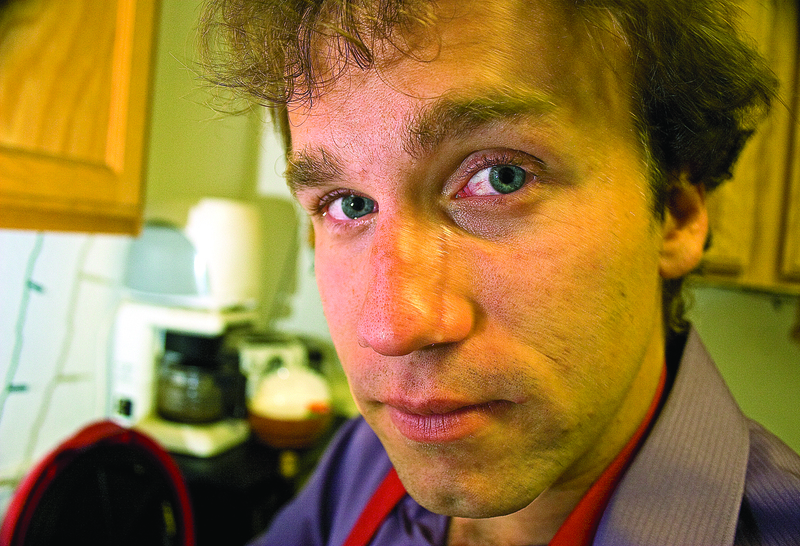 It’s much closer to an hour, between the time it takes to heat the pot and bring it to pressure, as well as the time it takes to naturally release the pressure. Still, an hour without any babysitting the pot isn’t bad. Potatoes: cooking. Beans: cooking. 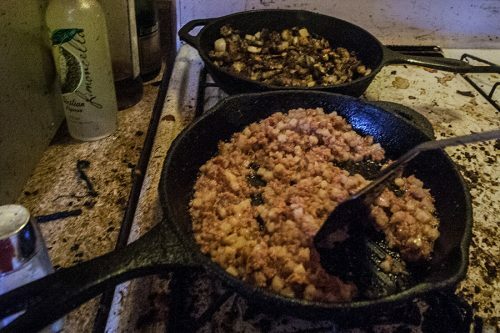 Corned beef hash: cooking. Next up is the green chile. Chop it up and throw it in a hot skillet for a few minutes. In hindsight, I probably should have added some eggs, either fried and on top of the burrito, and cooked and put inside the burrito, but I didn’t think of it at the time. 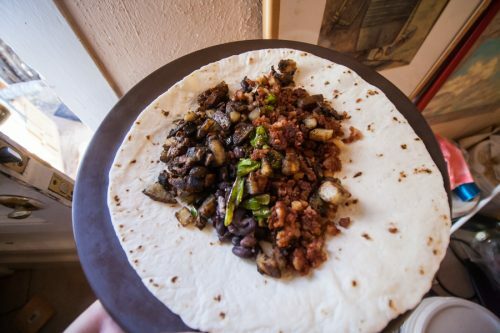 So, go make yourself a corned beef hash burrito! You will be amazed at how delicious it is. Find the rest of the photos here on Flickr.